There goes the neighborhood... Harvard Square has been famously without public restrooms for decades. Now we're getting a Portland Loo. 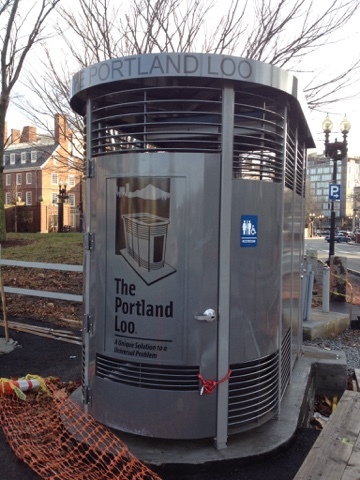 The new loo is located in MacArthur Square, the traffic island between Harvard Yard, the Old Burial Ground, Flagstaff Park, and Cambridge Common on Massachusetts Avenue at the north end of Harvard Square. It's taken 22 months to bring the project to fruition from when it was first reported in February 2014. Where to go next? 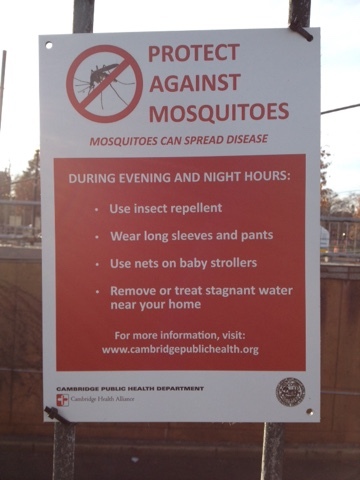 According to the city's 2013 "When outdoors in Cambridge, where have you experienced the greatest need for public toilets?" survey, the next place we might expect a Portland Loo to go up would be along along the equally mosquito-infested left bank of the Charles River. You read it here first.